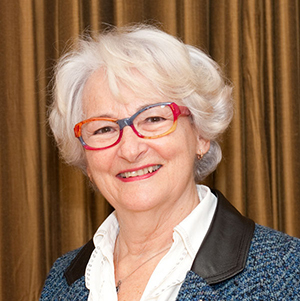 Jacqueline Cardinal, an Associate Researcher with the HEC Montréal Pierre Péladeau Chair of Leadership, has just published a biography of entrepreneur Denise Cléroux. Entitled Denise Cléroux, la Canadienne de Madagascar, the book recounts the personal and entrepreneurial story of an outstanding leader. In 1970, Denise Cléroux left for Madagascar with her son, on a two-year CIDA contract as a mathematics teacher. She fell in love with the country and decided to stay. In 1979, a chance meeting prompted her to launch her own business, opening a handicraft shop in the suburbs of the capital city, Antananarivo. For 25 years, Ateliers Denise Cléroux employed over 4,000 local craftspeople and workers who made zebu leather belts, antemoro paper frames and elegant Kaminski hats, sold by the millions around the world. Denise Cléroux, la Canadienne de Madagascar is Cardinal’s eighth biography of a business leader. She also wrote a book on the Sid Lee creative firm (Prix Grafika 2008), as well as some forty case studies on leadership, three of which have won Alma Lepage Awards. 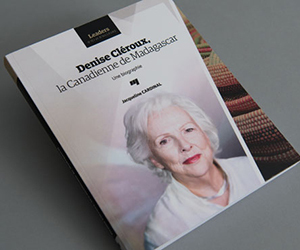 Denise Cléroux, la Canadienne de Madagascar, by Jacqueline Cardinal, Presses de l’Université du Québec, October 2016, 336 pages, available at the COOP HEC Montréal.